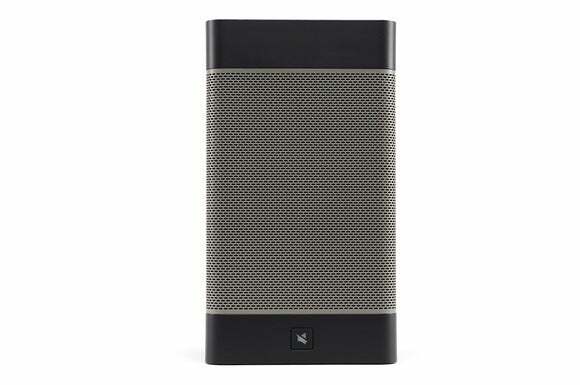 But when it comes to bass, this speaker delivers a little too much of a good thing. You can connect a Chromecast Audio Wi-Fi audio device to virtually any powered speaker. The disc-shaped dongle has both analog and digital outputs. 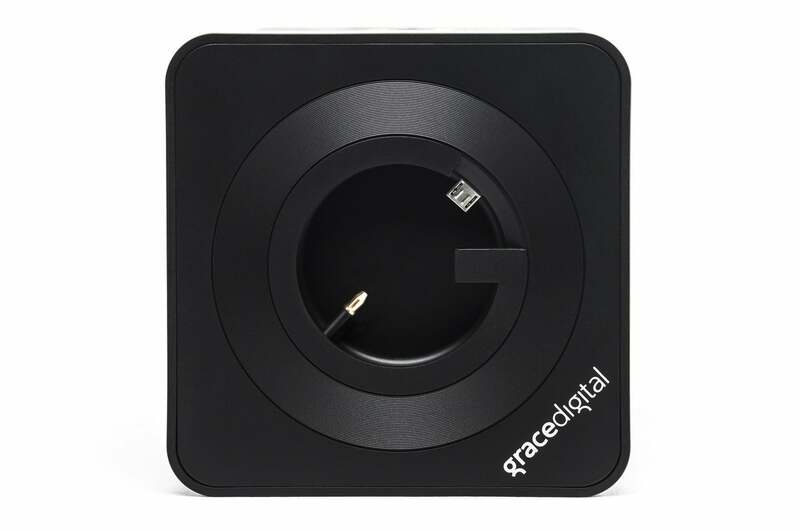 But when you plug one into Grace Digital’s CastDock X2 ($100 at Amazon), Google’s product virtually disappears to become one with the speaker, which is purpose-built for the task. The CastDock X2’s magnetically attached lid hides a perfectly proportioned dock with captive mini-TOSLink and micro-USB cables for audio and power respectively. 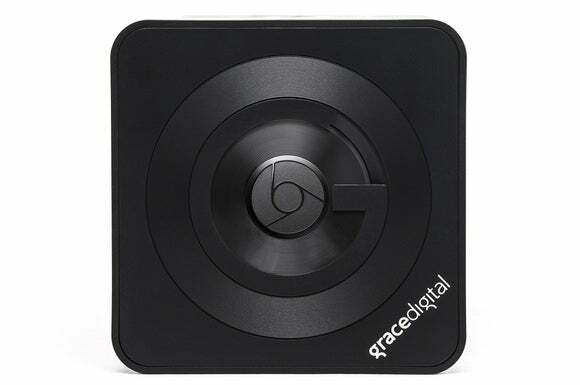 With the cover back in place, the Chromecast Audio’s logo—peeking through a G-shaped hole—is the only clue that the receiver is in place. 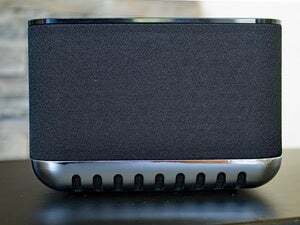 The only other physical connection you need to make is to an AC outlet—the CastDock X2 also powers the Chromecast Audio, and the speaker does not have a battery option. The Chromecast Audio module itself connects to your Wi-Fi network (up to 802.11ac) and you “cast” audio from an online music services (e.g., Spotify), from the Chrome web browser, or from an app (on your phone, tablet, or computer). You can also stream music from your own music library stored on network-attached storage. The Chromecast logo peeking through the dock on the top of the CastDock X2 speaker cabinet. A switch on the back of the CastDock X2 lets you filter out the left or right channel, so you can use it as one half of a stereo pair, with a second CastDock X2 handling the other channel to provide better stereo separation. The switch is in the middle position when it comes from the factory. The CastDock X2 can decode high-resolution audio files with up to 24-bit resolution and sampling rates as high as 192kHz (the Chromecast Audio itself tops out at 24-bit/96kHz). You can also connect a conventional analog audio source via the CastDock X2’s 3.5mm aux input. The CastDock X2 has captive mini-Toslink (for digital audio) and micro-USB (for power) cables. 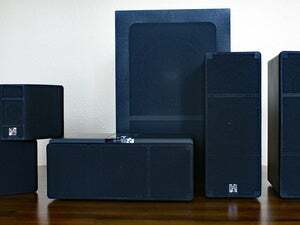 If Grace Digital’s secondary design goal was to stoke the fires of sub-woofer fiends, they succeeded spectacularly. You might love it. Personally, I immediately wished for a knob or switch to roll off some of the bass. It was so pronounced that it distracted me from the rest of the instruments and vocals when listening to any reasonably modern material. Acoustically isolating the CastDock X2 barely made a dent in the effect. Now if I were trying to cop some bass lines…. I had to reach for bass-challenged tunes from the ‘30s, ‘40s, and ‘50s, as well as some Beethoven and Mozart, to inspect the mid and upper frequencies. They’re there, they’re just overwhelmed by thump much of the time. If the device or app you’re casting from doesn’t have EQ settings, you’ll have to live with the bass or buy something else. EQ made things bearable for me. Without the EQ, the CastDock X2—powered by a 50-watt Class D amplifier—can get quite loud. It’s great for dance parties. Some of the people I played it for loved the way it played hip-hop. 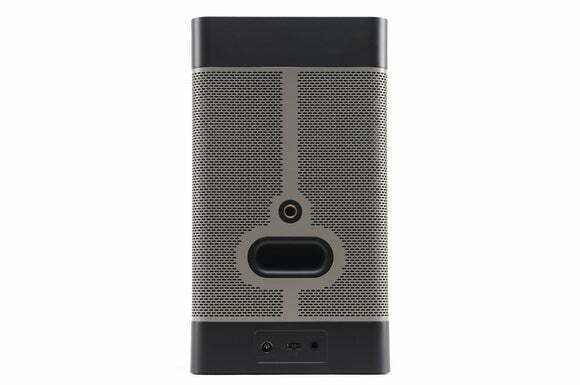 The port in the back of the unit delivers heavy bass response. The standard 1/4-inch threaded hole above it enables you to mount the cabinet. 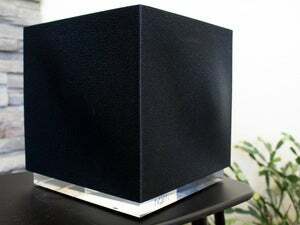 Pulling the amount of bass that Grace Digital does out of a mere 7.75-inch high, 4.25-inch wide speaker enclosure is quite a feat. I prefer speakers that deliver more balanced frequency response, and I’d rather not have to tweak EQ settings in an app to get that. But I’m not everyone. If your favorite music player provides a means to EQ its output, no problem. Or as I said, you might like or even love its bass. That’s the way it is with audio. If you're a bass-aholic, you'll love this thumping, cleverly designed speaker. Others will find the over-emphasized bass distracting.